CONTROL and Incognito join forces on August 3rd to present a range of music from Matthew Dear and J. Torres with local support from Ram S b2b Mir Z, and PABLoKEY b2b ARVO. The multitalented Matthew Dear will be hitting the Avalon stage. Matthew Dear has dipped his toes into many music genres and styles from indie-pop to funk house to techno. With three other aliases, including Audion, he has played many stages and straddled many musical worlds. His electronic sounds are dark and inviting, creating a unique atmospheric mood. Joining Matthew Dear for the night will be none other than J. Torres. This Los Angeles resident is known for blending tribal and futuristic melodies into high energy tech house music. Taking inspiration from the likes of Mark Knight and Chus & Ceballos, J. Torres has carved his own space for himself in the industry. 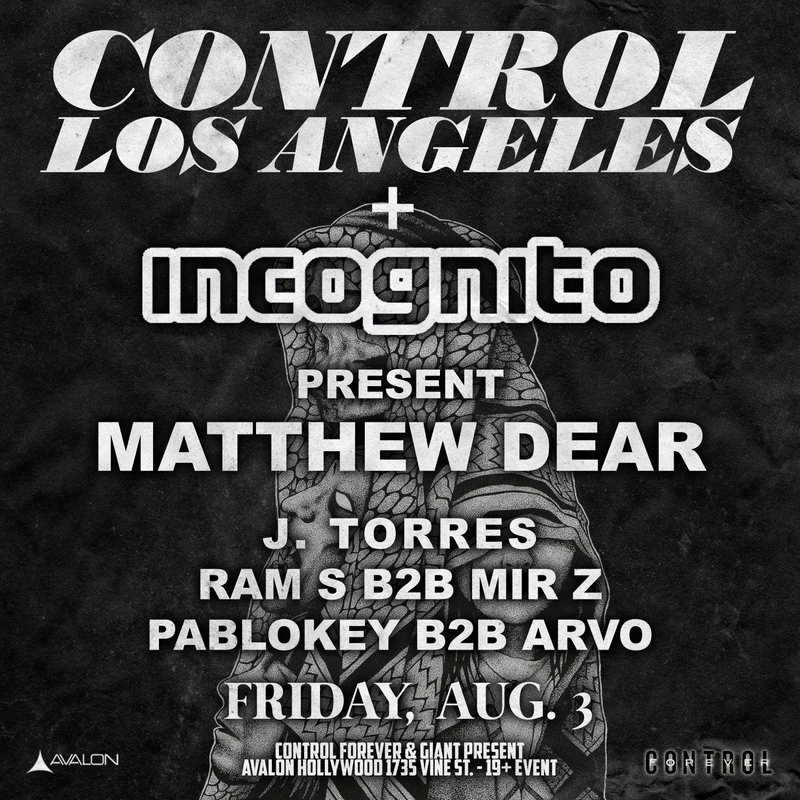 Get ready for this unique night of techno and dance from Matthew Dear and J. Torres at CONTROL and Incognito’s event on August 3rd, at Avalon Hollywood, with support from local talent like Ram S b2b Mir Z, and PABLoKEY b2b ARVO.